Society is in the process of onlification: the blurring of online and offline in daily life. What are the consequences for the retail and service sector? Consumers become onlife consumers. 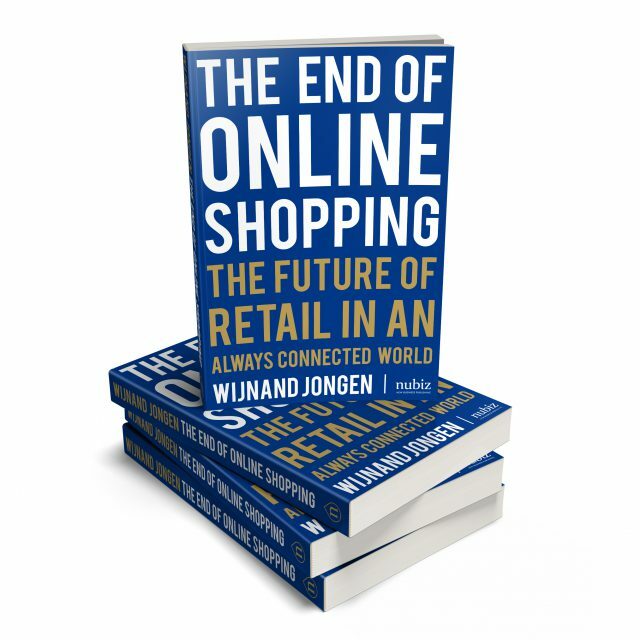 Traditional retail changes to a world of always-connected retail. We are entering a new economic era where retail is based on four new mutually reinforcing economies: smart, sharing, circular, and glocal (global/local). Seven technological applications are completely changing retail as we know it. The comprehensive Internet of Things and big data linked to it form the foundation for the smart economy. Virtual and augmented reality will create a new shopping experience in the next few years. And 3D printing will also significantly change the shopping landscape. What are the opportunities and concerns regarding robotization, artificial intelligence and the blockchain? Should we be worried about big data, privacy and safety? One thing is certain: nothing can be taken for granted anymore. Within a sharing economy, likeminded people and companies will find and do business with each other. However, not all that glitters is idealistic gold: the sharing economy is about money and power too. What are the main challenges regarding the sharing economy? New power balances will definitely emerge between shops, marketplaces, manufacturers and co-creating “prosumers”. The traditional retail chain will be turned upside down in the sharing economy. In the coming years, sustainable consumption will gain an ever-stronger foothold in the behavioral patterns of consumers. Do they opt for buying or sharing, for new or previously owned? This chapter dives into the 10 Rs, from recycle to refurbish. What does the transformation from a linear retail model to a circular one entail? What are the new business models for retailers? It also covers sustainably consuming energy and raw materials. Wat is necessary for consumers and retailers to embrace the circular economy? There is a circular retail paradox. This chapter covers the rise and power of global shopping ecosystems, as well as the opportunities for national and local market participants, shops and niche players. They are faced with a prisoner’s dilemma: whether or not to participate. Who will be best able to hold its own in the new balance of forces? Will this be the retailers who reach back to the core values of the shopping landscape from the 1950s? What are Europe’s challenges and opportunities in order to keep up with all these global forces? A new generation of shoppers, with a new shopper DNA, has entered the stage. This chapter deals with the difference between digital natives and digital immigrants. What is the position of digital illiterates? New onlife consumers appear to be powerful shoppers who can make or break shops and brands. Within the new customer journey, it is all about “finding” and “being found”. Customers require that their products and services to be offered at the right time, in the right channel and through the right medium. In addition, this should take place under the right conditions of sale, with the right service and, last but not least, at the right price. Retailers should no longer try to fit customers in their own shopping environment; they should do everything in their power to seamlessly conquer a place in the life of onlife consumers. Onlife consumers select products and services in a routine, comparative, examining and impulsive way. This chapter covers where (at what stores) and how (in what ways) consumers make their selections. They want to have an unlimited choice, without getting lost. This leads to the paradigm of choice: being able to choose from an unlimited offer that is presented in a personally relevant way. For onlife consumers, payment should fit in seamlessly with the rest of the customer journey. However, how can you accomplish this? There are four trends that determine how consumers will pay in the future: the break-through of contactless payment, the battle for the consumers’ digital wallets, your own identity as the new currency, and the rise of the blockchain. What is needed for all these packages to be delivered at the consumers’ homes? And what about the many packages that are being returned? Are free returns a burden or a service? The biggest challenge in this regard is a package’s last mile. How can the Internet of Things help (online) stores and logistical service providers? This chapter also covers the rise of social delivery as well as the question of how to turn the last mile into a sustainable last green mile? What do consumers require from the companies’ personalized customer services in the coming years? Initial and repeat purchases ask for a different approach. In the meantime, customers want to maintain the relationship with the retailer whom they trust. (Future perspective companies) New business models are disruptive for traditional retail. What are the new business models of the future? Will there still be room for mid-scale companies or will there be even more than enough room in the new middle? In any case, disrupting your own business model is a prerequisite for survival. The time of putting customers at the center of your own store has passed. Shops should seamlessly connect with the consumers’ environment. The retailers’ transformation into digital network companies, in which new generations of talents and professionals are making the difference, is in full swing. For the educational sector, the biggest challenge is to follow this transition as fast as possible, so that we will not miss the boat in the War for Talent. The powers in the world of retail are changing. How can we ensure a future in which there are opportunities for all types of retailers? Governments, companies and consumers must take their responsibility in this regard. They form the foundation of a new network society that is based on the human scale.